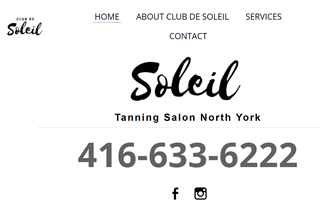 At Club De Soleil Tanning Salon we offer many different services: Tanning, Spray Tan, Eyelash Extensions, Eyelash Lift/Tint/Refill and Eyebrow tinting. We are Smart Tan certified and will always offer you the best possible advice for all of our services! We will always have your best interest in mind and help you with a smile! - A time and a place for you.